"It's a two-story building — just a regular house. Dogs are sleeping in the kitchen, sleeping in the washroom, everywhere." 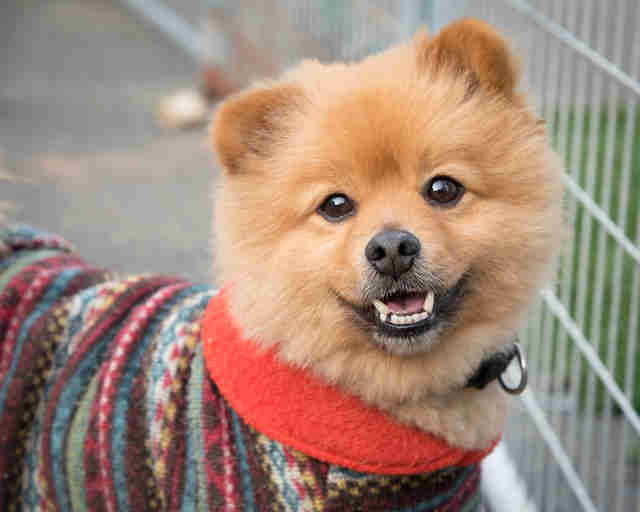 Two weeks ago, 18 dogs arrived at John F. Kennedy International Airport in New York City after traveling more than 11,000 miles from South Korea. 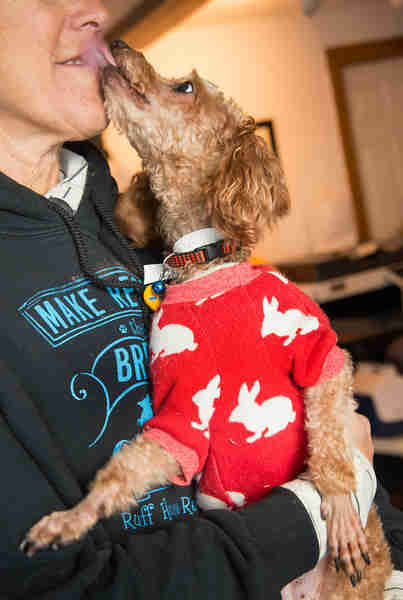 Some of the dogs had been rescued from South Korean meat farms; others were saved from puppy mills, or even the streets. Whatever their backgrounds were, these dogs were all getting a fresh start in the U.S. While many people helped to get these dogs here, one person played a particularly important role - a South Korean woman who goes by the name "Ms. Jung." Ms. Jung is one of South Korea's unsung heroes, according to EK Park, founder of Free Korean Dogs. "She's been rescuing dogs her whole life, but 20 years ago she got heavily involved," Park told The Dodo. 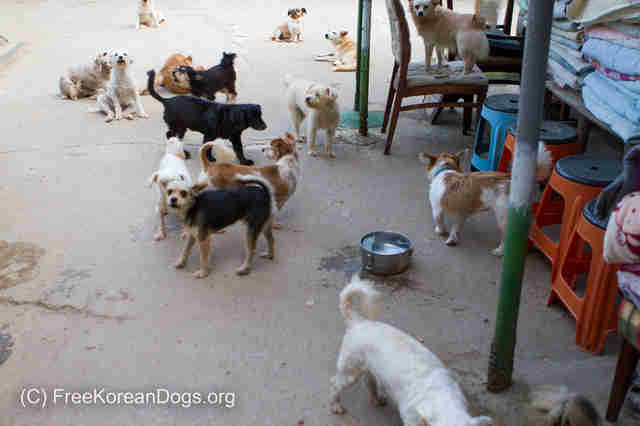 Ms. Jung runs a private refuge for rescued dogs called Chungdo Shelter from her home near Daegu, South Korea. 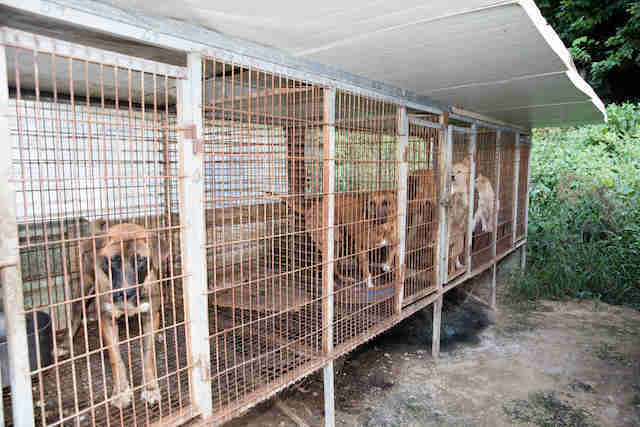 But Chungdo Shelter is no ordinary shelter. Instead of keeping dogs in cages or enclosures, Ms. Jung allows them to live inside her house. 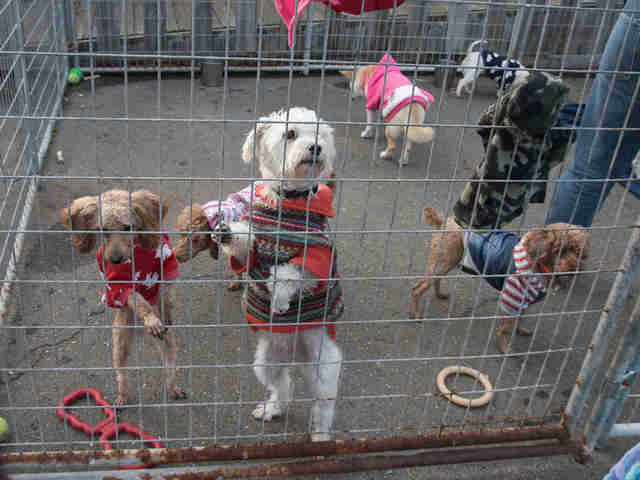 "There are always between 150 to 200 dogs living at her house," Park said. "It's a two-story building - just a regular house. Dogs are sleeping in the kitchen, sleeping in the washroom, everywhere." Ms. Jung is in her mid-60s, and she has health problems, Park said. But instead of taking care of herself, Ms. Jung spends all of her time and money taking care of dogs. She opens her home to any dog - young or old, healthy or sick. "There are many dogs who are old - seniors who are sick," Park said. "She simply has no time to play with the younger dogs because she's just way too busy taking care of the seniors." Besides being short on time, Ms. Jung struggles to pay for the dogs' care, especially when it comes to vet bills. But she never skimps, according to Park - if a dog needs medical attention, Ms. Jung makes sure the dog gets it. Perhaps the bigger problem Ms. Jung faces is rehoming the dogs. There are hundreds upon thousands of dogs who need help in South Korea, and Ms. Jung can only care for so many at one time. 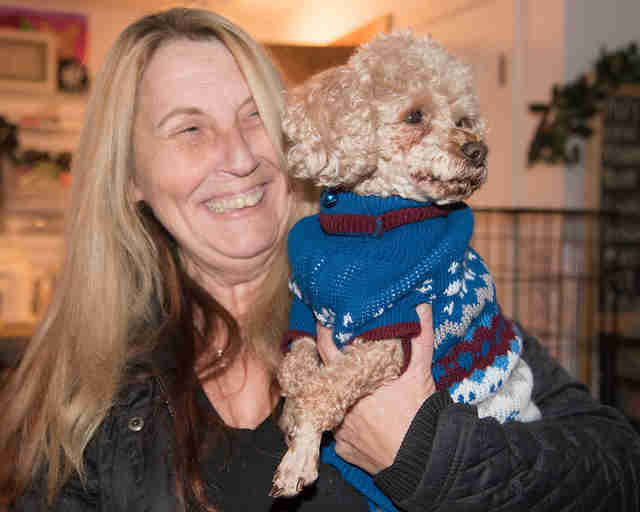 So Ms. Jung tries to rehome as many dogs as possible, so she can help more dogs in need. In South Korea, dogs face many challenges, the biggest being dog meat farming. There are around 17,000 dog meat farms in South Korea, and an estimated 2 million dogs are slaughtered for human consumption each and every year. Puppy mills are also a huge issue in South Korea, especially since the government recently announced it would provide financial incentives to people wanting to operate puppy mills. The industry is highly unregulated, and puppy mill farmers have been known to breed and sell dogs like "teacup puppies," which are really just dogs whose growth has been stunted through malnutrition and bad breeding. Then there's the problem of strays. When people don't want their pets anymore, they may take them to a shelter, where they're usually euthanized - sometimes immediately. Or people abandon their unwanted pets on the streets. 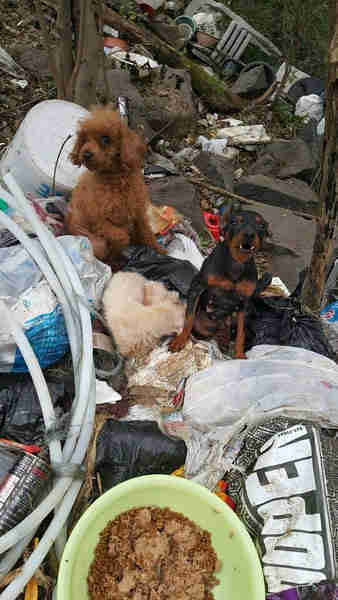 "When dogs get sick or make trouble, people just throw them out," Park said. Any stray who doesn't end up at a shelter usually becomes dog meat, Park explained. "That's the reality in Korea," Park said. "It doesn't really matter where they come from - in the end, they usually end up on somebody's table. It's a very brutal situation there." 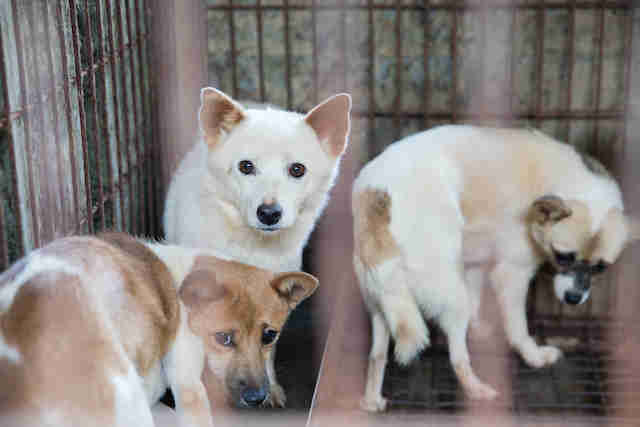 While there are some South Korean rescue groups who help dogs, as well as individuals like Ms. Jung, there are more dogs in South Korea than people who want to adopt them. 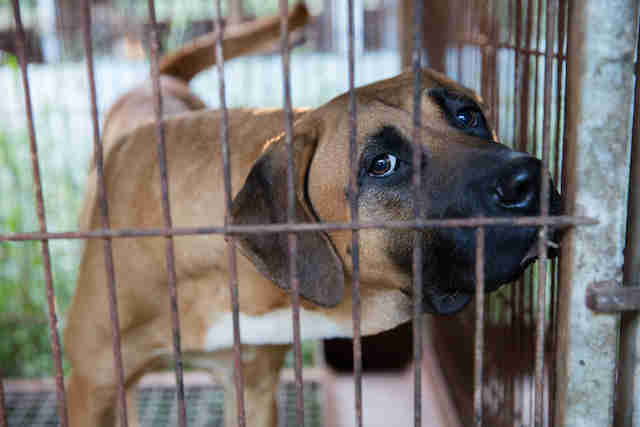 There's also a stigma in South Korea around dogs rescued from meat farms. "People just don't like to adopt dogs from meat farms," Park said. "In general, people in Korea see 'pet' dogs as dogs [who are] small, cute and pretty. But most dogs rescued from a dog meat farm or markets are big dogs." Park, who is originally from South Korea herself, has seen this kind of discrimination firsthand. "When I organized a protest last summer at a dog meat market, I saw a young woman holding a Pomeranian puppy in her arms, and bought dog meat with her husband at the dog market," she said. "I was pretty shocked." A solution has been to transport South Korean dogs to other countries. In 2015, Park founded Free Korean Dogs to rescue and transport South Korean dogs and rehome them in the U.S. and Canada. It was during one of these rescue operations that Park got to know Ms. Jung. "We rescued a lot of dogs from a dog meat farm last summer, and we needed a space, a shelter to keep these dogs for two months for medical treatment," Park said. "So we contacted a lot of people, and Ms. Jung was one of them - she was one of my colleague's friends. She took some of my dogs, and that's how our relationship started. Since then, we've just been helping each other." 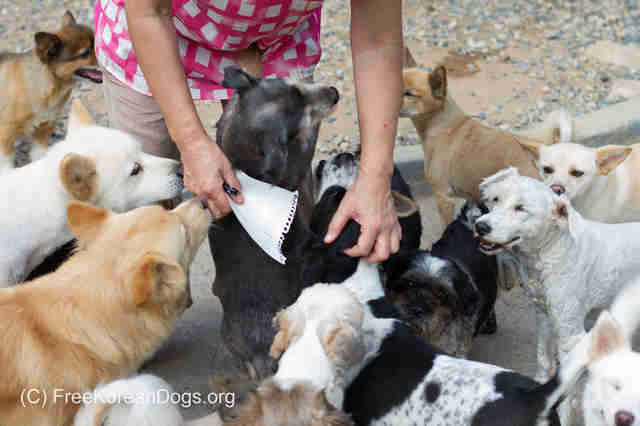 Over the past year, Park has worked with Ms. Jung to rescue and transport more than 200 dogs to North America. In preparation for the dogs' departure, Ms. Jung will get each dog spayed and neutered, vaccinated and even groomed. 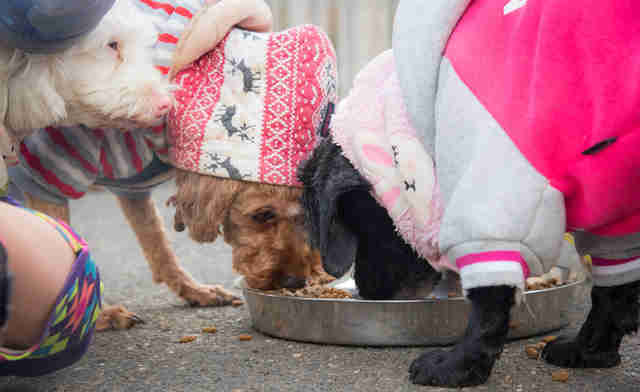 Ms. Jung also dresses each dog in an adorable doggy jacket. But Park doesn't just work with Ms. Jung - she also works with rescue groups like Ruff House Rescue in New York. "There are many volunteers working with this whole thing," Park said. Most senior dogs remain in Ms. Jung's care, but the younger, more socialized dogs are good candidates for adoption in North America. The 18 dogs who recently arrived have already been adopted. 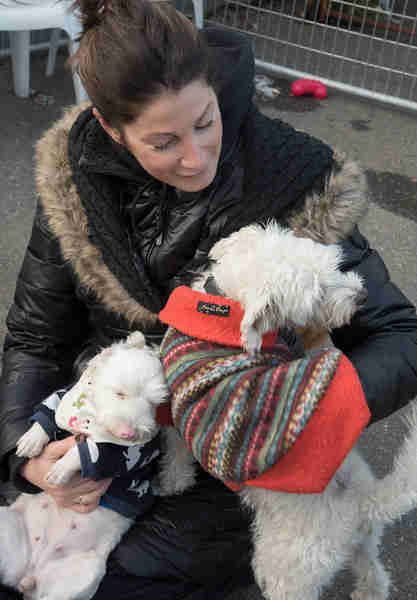 "They were adopted so quickly," Diane Indelicato, founder of Ruff House Rescue, told The Dodo. "Everyone went off within the same week. 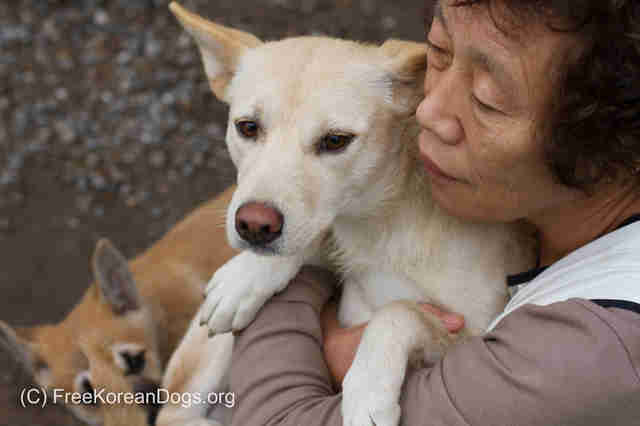 All the Korean dogs that we brought were adopted to very good homes were all adopted." "Some people have a concern about the homeless dogs we already have here," Indelicato said. "But there are homes for the [South Korean] dogs, and there are homes for our dogs too, and I think it's important what we're doing." To help Ms. Jung care for hundreds of rescued and abandoned dogs in South Korea, you can make a donation here. If you are interested in adopting a dog rescued from South Korea, you can contact Ruff House Rescue or Free Korean Dogs.